Incredibly, from 1909 through 2011, nearly 465 billion pennies have been minted. Yes, that is over four hundred sixty-five billion, as in billion with a "B". That is roughly 1468 pennies per each US Citizen. If you have a jar, can, piggy bank, no doubt you have your share. More cents are produced than any other denomination. The lifespan of the Lincoln cent has spanned two world wars, several other wars, the first commercial jet flight, trips to the moon, Y2K and the invention of nearly everything we use today and take for granted. Yes, that little penny has been around for nearly 100 years and has seen a few changes such as changes in its design and changes in the metal content. How did this design, the staple of our pocket change come about? Way back in 1908, Victor D Brenner began designing a medal of Theodore Roosevelt marking the construction of the Panama Canal. Brenner had earlier created a plaque of Lincoln using a February 9th, 1864 photograph as the model. When Roosevelt saw the plaque of Lincoln, he was impressed. Brenner confided to the president that he was a great admirer of Lincoln and suggested that a portrait of Lincoln should be put on a U.S. coin. Although George Washington and Lincoln had appeared on pattern issues of the 1860s, as of 1908 no American president, or real person, had ever appeared on a coin made for regular circulation. The timing was right as Roosevelt had previously commissioned Augustus Saint-Gaudens in 1907 to redesign all American coinage including the Indian Head penny which had been around for nearly 50 years. Unfortunately Saint-Gaudens died that summer. Thus Roosevelt was open to ideas from other artists and was intrigued by the idea of using Lincoln on the cent and also coincided with his desire to honor his fellow Republican (it was all politics back then also) and the 100 year anniversary of his birth and consequently asked Brenner to submit a design. Brenner choose the penny as the coin to honor Lincoln as he felt it was appropriate to honor the “people’s” president on the most common coin. Originally, the design for the reverse was the same pattern as a French two-franc coin and had “United States of America” across the top of the reverse with his name “BRENNER” in small letters across the bottom. The design was immediately rejected by Mint officials as they did not like the use of a design identical to a French coin. They also did not like Brenner’s name being prominently displayed on the coin. They advised him to use only his initials as was common on other coins. Brenner redesigned the reverse with two stalks of wheat, the words ONE CENT over United States of America and his initials “VDB” on the bottom and the national motto, E PLURIBUS UNUM, which means "One out of Many" circling the top. Brenner’s design did not originally include the phrase “In God We Trust” despite the fact that the Congress passed the Act on March 3, 1865, authorizing the use of this expression on our coins during Lincoln's tenure of office. William Taft succeeded Roosevelt as president before the penny went into production and refused to approve the design without it. Even though no legislation was required for a new design, approval of the Treasury Secretary was necessary to make the change. Franklin MacVeagh gave his approval July 14, 1909 and it was announced to the public that a new one-cent coin would be available in the middle of the year to commemorate the 100 year anniversary of Lincoln’s birth. About three weeks later, on August 2nd, 1909, the new cent was released to the public with much controversy. This was the first ever U.S. coin that would be released that would contain a real person on the picture. As such, there was much controversy as some people felt that putting a real person on a coin was too similar to the European monarchies. Others felt that a man of Lincoln's importance belonged on a hire denomination coin than a penny. Mint employees were upset that a coin was designed by a mint outsider. With all the controversy, the demand for the new penny only grew. On official release day, people stood in lines to get their first new penny and in many places the coins had to be rationed. The entire supply of cents was gone in 7 days. This initial release contained 27,996,194 1909 VDB and the now scare and key date Lincoln, the 1909 S VDB, that had a mintage of only 404,000. The supply ran dry because only after two days after the official release, on August 4, 1909, production was stopped by order of the Treasury Secretary Franklin MacVeigh. Although MacVeigh had earlier approved the design, he told reporters that he did not know that Brenner's initials were to appear on the coin and that he was only reacting to widespread public criticism. Many people objected to the size of the letters that Brenner had placed just above the rim on the reverse of the coin. Brenner was angry and threatened to sue as the initials and even full names of other designers had appeared on many previous coins, but there is no indication that he ever followed through on this threat. A suggestion was made to put just the initial “B” on the coin but this was met with fierce resistance by Charles Barber who did not want Brenner's work confused with his own. MacVeigh also claimed that it was cheaper and faster to remove the initials from the hub and leave the die alone. Thus, Brenner's initials were taken off the coin. They did not reappear on the penny until 1918 after the death of Charles Barber. However, the initials were put on Lincoln's shoulder in letters so small that it can barely be seen without magnification. Although there is no hard proof, many believe that anti-Semitism played a large role in the outcry over Brenner's initials on the Lincoln cent. No real changes occurred in the cent from 1918 through 1942. In 1943, the cent would again see a dramatic change although not to its design, but rather due to shortages of copper caused by the war. At the time of World War II, the one-cent coin was composed of 95 percent copper and 5 percent zinc. These metals were denied to the Mint for the duration of the war, making it necessary for the Mint to seek a substitute material. After much deliberation, even including consideration of plastics, zinc-coated steel was chosen as the best in a limited range of suitable materials. Production of the war-time cent was provided for in an Act of Congress approved on December 18, 1942, which also set as the expiration date of the authority December 31, 1946. Low-grade carbon steel formed the base of these coins, to which a zinc coating .005 inch thick was deposited on each side electrolytically as a rust preventative. The same size was maintained, but the weight was reduced from the standard 48 grains to 42 grains, due to the use of a lighter alloy. Production commenced on February 27, 1943, and by December 31, 1943, the three Mint facilities had produced 1,093,838,670 of the one-cent coins. The copper released for the war effort was enough to meet the combined needs of 2 cruisers, 2 destroyers, 1,243 flying fortresses, 120 field guns and 120 howitzers, or enough for 1.25 million shells four our big field guns. These pennies are sometimes referred to as silver pennies due to their color when in new/AU/BU condition. On January 1, 1944, the Mint was able to adopt a modified alloy, the supply being derived from expended shell casing which when melted furnished a composition similar to the original, but with a faint trace of tin. The original weight of 48 grains was also restored. You may see many ads for these cents called war pennies. In 1955, we saw the last of the “S” mint marked wheat pennies. The San Francisco mint ceased minting “S” minted coins of cents and dimes for general circulation at the end of that year. The nickel, quarter and half dollar ceased the year before. It would not be for another 13 years (1968) before “S” mint coins were produced for general circulation. 1959 marked the 50th anniversary of the Lincoln cent and the reverse was changed to what is now the current design, the Lincoln Memorial. On February 12, 1959, the new design was introduced as a part of the 150th anniversary celebration of Lincoln's birth. Frank Gasparro, the Assistant Engraver at the Mint in Philadelphia, prepared the winning entry, selected from a group of 23 models the engraving staff at the Mint had been asked to present for consideration. Since the cent had been in circulation for over 25 years, only the Treasury Secretary's approval was necessary. The imposing marble Lincoln Memorial in the Nation's Capital provides the central motif; the legends E PLURIBUS UNUM and UNITED STATES OF AMERICA form the rest of the design, together with the denomination. Mr. Gasparro's initials, FG, appear on the right, near the shrubbery. In 1962, the penny underwent another change, although small. Mint officials decided to drop tin from the content of the Lincoln cent, because there were manufacturing cost advantages to a stable alloy of 95 percent copper and five percent zinc. This time, however, there was no particular interest because the change was not readily notice even though technically the Lincoln cent became brass, not bronze. In 1964, due to the announcement that silver would not longer be the major component of dimes, quarters and half dollars, there was a severe coin shortage for circulation. 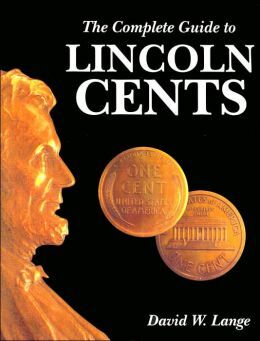 Although Lincoln cents were not the problem, government officials decided to not place mint marks on all coins in 1965. This continued for 2 more years (1966 and 1967), with the idea that this would keep collectors from hoarding all the coins needed for circulation. Some coins dated 1964 were actually produced 1965. Finally in 1968, mint marks were returned and the beloved “S” mint returned to circulation. The return of the “S” would be short-lived however. Unlike cents of earlier years with “S” mint marks, the cents of 1968-1974 would be produced in the multi-millions with a total number of “S” minted coins from this period totaling over three billion. Yes, that is billion. Still, it was a welcome change. The price of precious metals in the 1980's was out of control and copper was no exception which took its toll on the Lincoln cent in 1982. The composition was changed to an alloy of 99.2 percent zinc and 0.8 percent copper, plated by pure copper resulting in a total composition of 97.5 percent zinc and 2.5 percent copper. From the VDB initials controversy, composition changes and reverse changes nearly 50 years ago (from Wheat to Memorial). The versatile cent has seen its share of changes. In 2009 we saw more changes. Legislation was passed that authorized a plethora of coin changes. One of those changes included the cent. The Lincoln Cent Title III to the Presidential Dollar Coin Act called for the elimination of the Lincoln Memorial reverse to be replaced with four different designs depicting the life of Lincoln. In the text of the law the new reverses are referred to as “(A) his birth and early childhood in Kentucky; (B) his formative years in Indiana; (C) his professional life in Illinois; and (D) is presidency, in Washington D.C.” These changes would appear in 2009. For 2010 and beyond, the legislation states, “The design on the reverse of the 1-cent coins issued after December 31st, 2009 shall bear an image emblematic of President Lincoln's preservation of the Untied States of America as a single and united country.” The result is what we see today, the Shield Cent. 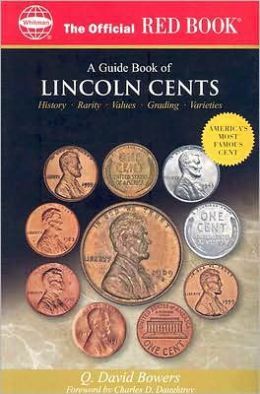 Want to discuss the Lincoln Cent? Join the coin forum.